Thursday, January 5, 2017 7:00 PM Southfield AWAY 64 Clarkston High School HOME 48 Game Recap Wolves drop to 8-1 with the loss. 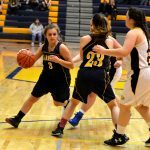 Luchenbach scored 19 points and Beck added 17. Monday, December 26, 2016 12:00 AM Clarkston High School AWAY 66 River Rouge High School HOME 41 Game Recap Motor City Roundball Classic. Clarkston beats River Rouge 66-41. Luchenbach named game MVP posting 21 pts and grabbing 12 rebounds. Maddie Beck contributed 22pts and 7 assists. Thursday, December 22, 2016 7:00 PM Clarkston High School AWAY 51 Royal Oak HOME 41 Game Recap Wolves win, move to 6-0. Ground out a physical win at Royal Oak 51-41. Maddie Beck led team w/ 29pts & 5 steals. Luchenbach collected 11 rebs. 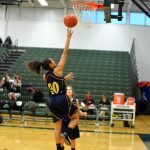 Wednesday, December 14, 2016 6:30 PM Seaholm High School AWAY 18 Clarkston High School HOME 25 Game Recap Freshman Lady Wolves move to 3-0 on the season with a tough win against Seaholm. Clarkston’s stiff defense was the key factor in tonight’s win. The Wolves impressive team basketball was another important component of the victory.